TIDAL is the first 100% artist owned music streaming service. Not only in the United States, but also in the entire world. Artists such as Jay Z have even pulled their music from Spotify to bring more traffic to TIDAL. We are all well past the days of downloading music on Limewire onto our computers and then onto CDs or your iPod/iPhone. (Yes I am guilty of giving my parent’s desktop a virus compliments of Limewire). With subscription services, just a small monthly fee gives you access to millions of songs in seconds. Best of all, you are never waiting for new releases. Once they are out to the public, the app will immediately notify you. There are a handful of music players to choose from. Spotify, Apple Music, Pandora, Amazon, Google Play, etc. Personally, I have always been a Spotify girl. The student discount is what enticed me, and I’ve never felt the need to switch. As long as my student email is still active, it will remain as my Spotify email. Just as I am sure we all log into Netflix with another family member’s or friend’s account, we all try to save money here and there. 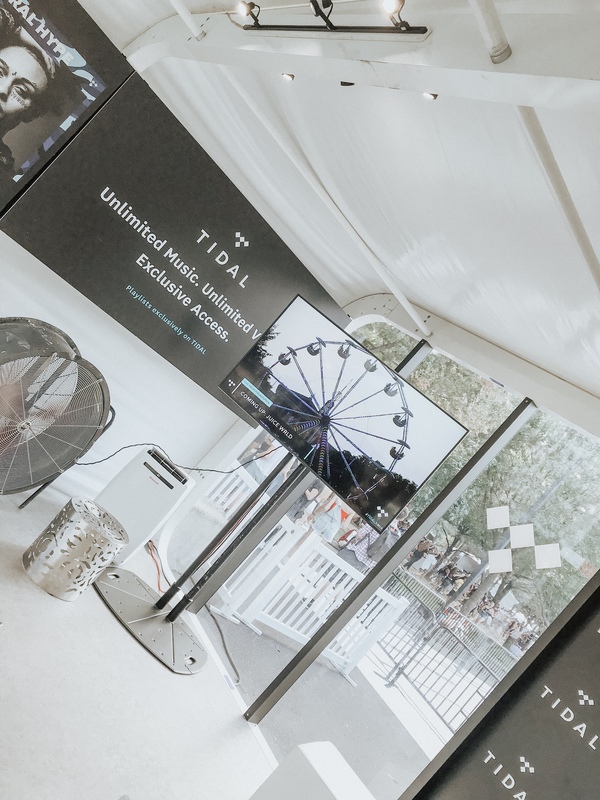 Before heading to Philly for the Made in America Festival, I saw TIDAL Music being advertised as sponsored posts in partnership with MIA Fest. Before these advertisements target at myself for attending the festival, I had honestly never heard or come across TIDAL before. They were offering a free trial so I decided to try it out. They also spoke of the “TIDAL Stage” that we would get access too, so it seemed like a win-win. It also gave us access to meet up and coming artists. I was able to meet Jay Park. Right off the bat, I noticed a big difference between TIDAL and other music streaming sites was how well versed in video it was. They had various videos from live streams, to full music videos. Fun Facts: TIDAL is the first 100% artist owned music streaming service. Not only in the United States, but also in the entire world. Artists such as Jay Z have even pulled their music from Spotify to bring more traffic to TIDAL. Once on the TIDAL Stage, the experience was amazing. Exhibit A: MIA Fest is basically all solid grass and dirt. There were a few tents with some fans, charging lockers, and scarce water. If you are a VIP you are able to go to a few liquor sponsored tents, but these are not near any of the stages so you are just watching the concert from the TV. My Outfit: I knew that I wanted biker shorts when shopping for this trip. There were none in Forever 21 surprisingly, and I even had a hard time finding them in the intimates section at various retailers. So I ended up getting leggings with metal rings and then cutting off the bottom portion of the pants to turn them into biker shorts. Even with Amazon Prime, I did not have time to order some. Ideally I would have gotten a colored par of shorts. Since it was so hot out I paired the biker shorts with a basic bandeau. Lastly, my touch of Abercrombie and Fitch was this adorable canvas camo jacket. For the shoes, I came across these sparkle Dad shoes, in some random store in Midtown. But there are some very similar ones here for under $40.00! Lastly, for the hair I wanted to do a Miley Cyrus look. This was super easy to just put some pigtails in, and add a touch of shimmer with some scrunchies.